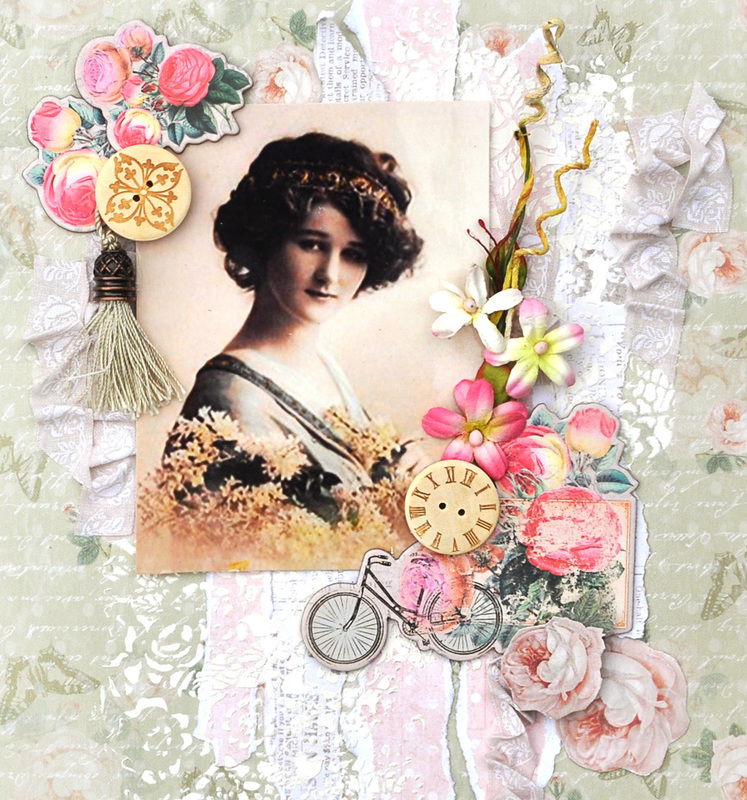 This kit was packed with wonderful embellishments, flowers, chipboard from Prima and Studio75 papers. 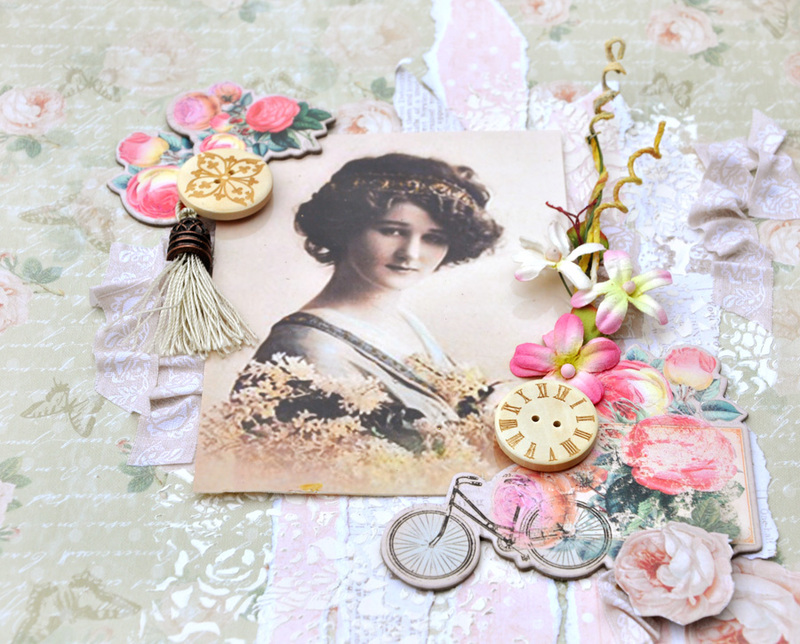 I opted to pair it with a vintage photo from Magic Moonlight Free Images. 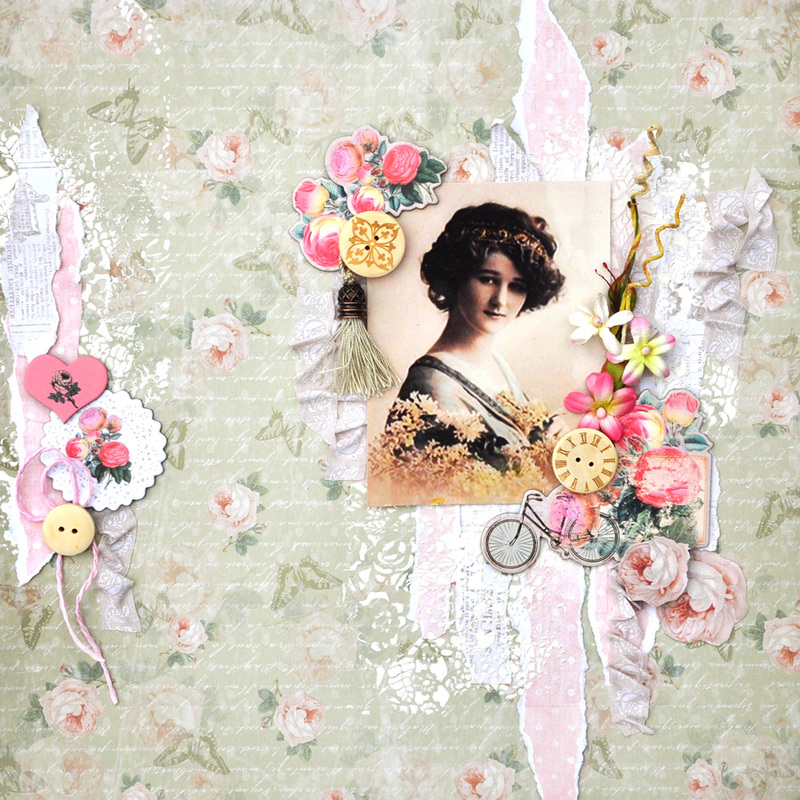 Sometimes I feel less is more and there is not a need for an over abundance of flowers to make a layout compete. 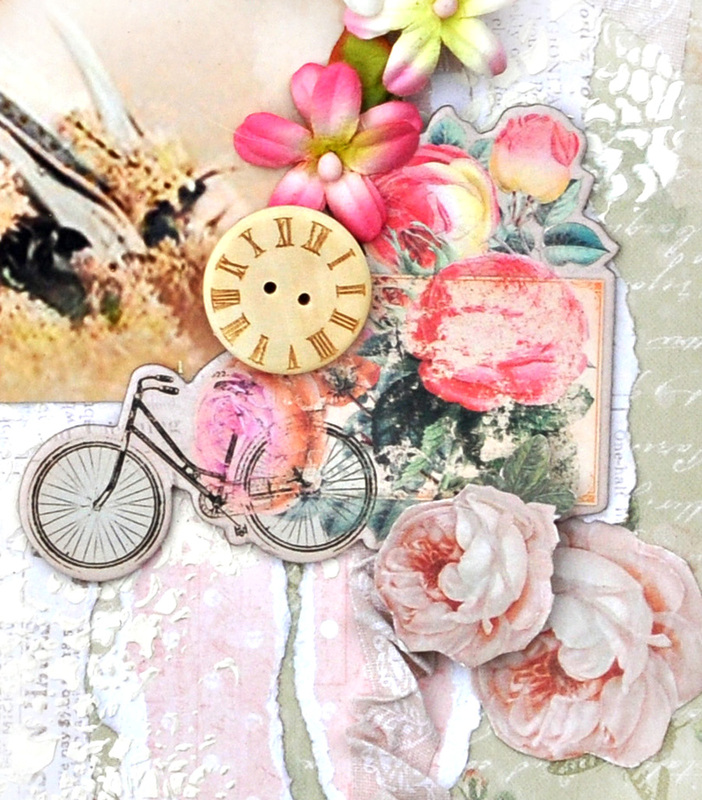 I used the chipboard and embellishments from Prima's Simply Blue collection for my accent pieces and flowers. It's not over the top so my image is the focal point. 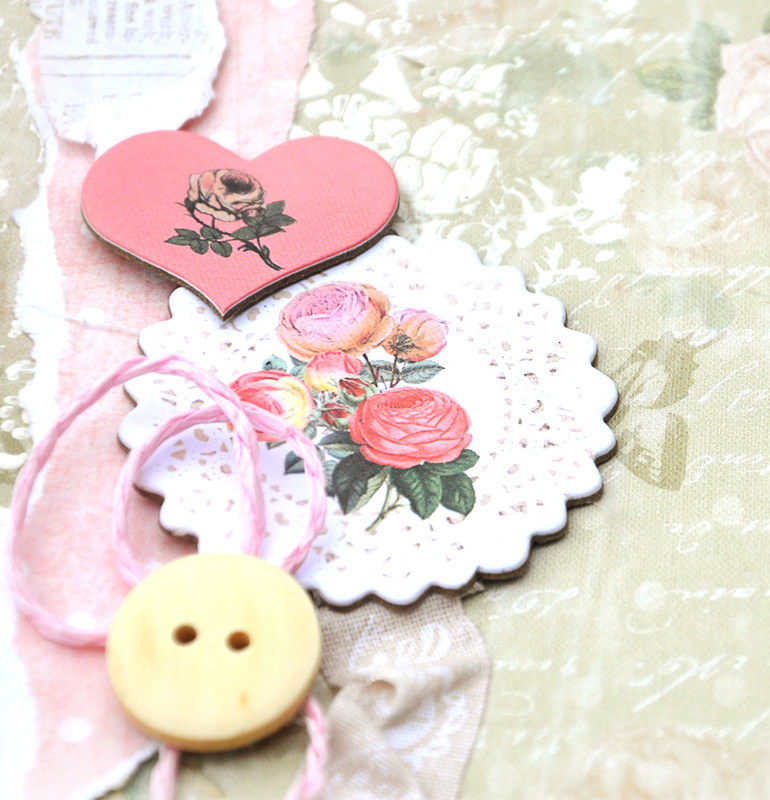 Wood Buttons and some Ingvild Bolme vintage tassels by Prima. 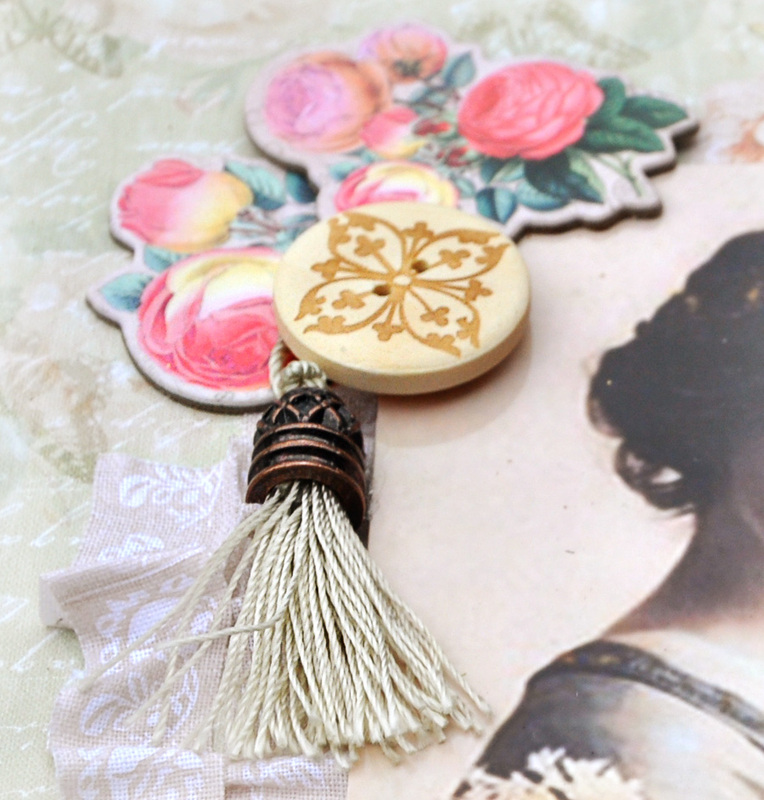 Chipboard from the Prima Simply Blue Collection. Thanks for Visiting here. If you would like to be sure and get the kit each month participate in the pre-sale event held the 20th of each month. You'll find all the details on the Unicorns blog each month - smack on the 20th.